On this day, 37 years ago, the tanks of the North Vietnamese Army rolled into the city of Saigon. The city’s inhabitants gathered frantically outside the gates of the U.S. embassy, begging the Americans to shelter them from the advancing Communists. That day, thousands of Vietnamese families packed up their entire lives and embarked on a journey across the seas to escape the grasp of Communism. April 30, 1975 was a dark day in Vietnam’s history, but prior to this fall, the South Vietnamese Army would achieve one last glorious victory. In the weeks prior to the fall of Saigon, the Communists in the North were still figuring out how to capture the city. One strategically important location was Xuan Loc, which the Communists planned to capture before moving on to Saigon. As the 4th Corps of the North Vietnamese Army assembled their forces in the jungle north of the city of Xuan Loc, they were greeted by some unexpected guests. The 18th Division of the ARVN (South Vietnam), under Brig. 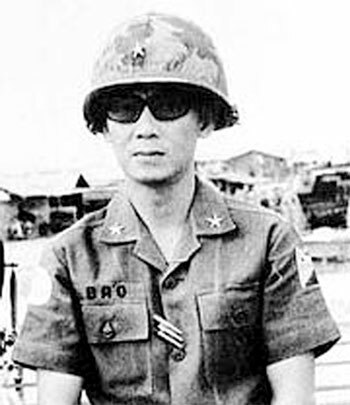 General Le Minh Dao, would derail the NVA’s plan to capture Xuan Loc, showing the world that even without the U.S., the ARVN was still a force to be reckoned with. The Battle of Xuan Loc was the last major struggle before Saigon’s fall on April 30, 1975. With the passionate and inspirational leadership of Brigadier General Le Minh Dao, the 18th Division of the ARVN resisted heavy fire from the Communist forces from April 9-21, when the division was recalled to defend Saigon. The brilliance of the 18th Division can be seen by its numbers, dealing a miserable amount of pain to the 4th Corps of the NVA. On the first day of battle, the NVA under Major General Hoang Cam lost more than 700 hundred men to the ARVN and Le Minh Dao, whose losses were below 50 soldiers. After four days, Cam’s death toll climbed to 2,000, while Dao’s still only in the hundreds, the 4th Corps still had not advanced (Pribbenow & Vieth, 2004: 191-199). By April 13, the 4th Corps and the North Vietnamese Army were forced to change their strategy. According to NVA Commander Tran Van Tra, because of the fierce resistance of General Dao and the 18th Division, it was no longer in the interests of the NVA to continue pressing in Xuan Loc (Pribbenow & Vieth, 2004: 200). From then until April 21, the Communist forces would concentrate their forces in other areas around Xuan Loc, and Le Minh Dao would continue to fight them until receiving orders to return to Saigon. The general’s retreat was just as masterful as his advance, which required much daring and intellect to outmaneuver the Communist forces. Sadly, the success story ends here, with Le Minh Dao’s successful retreat back to Saigon. 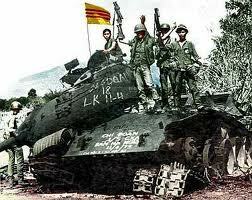 From this point onward, South Vietnam would run out of steam, and the ARVN would no longer have the means to fight. Brigadier General Le Minh Dao and the 18th Division were only few of many brave individuals who sacrificed their lives for the free and democratic South. On April 30th, even after Duong Van Minh and the Southern government surrendered, Le Minh Dao still wanted to keep fighting. However, with the knowledge that the corps commander and the deputy had taken their own lives, Dao knew that it was done. On May 9, Le Minh Dao turned himself over to the Communist forces, serving a prison sentence of 17 years. He would remain in prison until May 4, 1992, when he was finally released. Le Minh Dao currently resides in the United States, his accomplishments forever immortalized in the pages of history. Pribbenow, Merle L. & George J. Veith. ”Fighting is an Art: The Army of the Republic of Vietnam’s Defense of Xuan Loc, 9-21 April 1975.” The Journal of Military History, Vol. 68, No. 1 (Jan., 2004), pp. 163-213. I would like to thank all of you who signed this petition underscoring Americans’ concern for human rights in Vietnam and the United States-Vietnam relationship. As our dialogue with Vietnam evolves, we are especially cognizant of the views of the Vietnamese community in the U.S. The United States will remain diligent in pursuing progress on human rights in our high-level engagement as we pursue a wide array of security, economic, and strategic interests with Vietnam. In our discussions with the Vietnamese government, we emphasize that progress on human rights, including the release of political prisoners and freedom of religion, is a necessary part of improving United States-Vietnam relations. Secretary of State Clinton raised our human rights concerns with President Sang when they met at the November 2011 Asia-Pacific Economic Cooperation (APEC) meeting in Honolulu, Hawaii. U.S. Ambassador to Vietnam David Shear has raised similar concerns in all of his high-level meetings since arriving in Vietnam last August, and he and the Mission regularly engage Vietnamese government officials, nongovernmental organizations, and other individuals as part of our Government’s commitment to promote greater respect for human rights in Vietnam. During the annual United States-Vietnam Human Rights Dialogue meeting in November, I, along with Ambassador-At-Large for International Religious Freedom Suzan Johnson Cook and other high-level officials, urged Vietnam to release all political prisoners, strengthen religious freedom, ratify and implement the Convention Against Torture, and take other steps to protect and promote universal human rights. My colleague, Kurt Campbell, Assistant Secretary of State for East Asian and Pacific Affairs, underscored these concerns directly with Vietnamese officials during his most recent visit to Hanoi on February 2. Read a transcript of his press conference in Hanoi here (PDF). In addition, our engagement with Vietnam on trade, including through its interest in the Generalized System of Preferences (GSP) and its participation in the Trans-Pacific Partnership (TPP) negotiations, has provided opportunities to raise these issues. Both GSP and TPP include commitments to labor rights protections, including freedom of association. The Obama Administration is committed to an ongoing dialogue with the Vietnamese American community. On March 5, 2012, my colleagues and I participated in a briefing held by the White House Office of Public Engagement for 165 Vietnamese Americans from 30 states who work across diaspora communities in order to promote human rights, global partnerships, and opportunities for Vietnamese abroad. During the meeting, we stressed that human rights issues are a key component of ongoing discussions with Vietnam and that the United States continuously engages Vietnam on human rights through many different channels, including the annual United States-Vietnam Human Rights Dialogue. I encourage everyone involved in this petition to continue to express your views and concerns to the Administration, and most importantly to the Vietnamese government. I also encourage you to follow our work on http://www.humanrights.gov. (Also, see the State Department’s 2010 Human Rights Report for Vietnam and the latest International Religious Freedom Report for Vietnam). We look forward to meaningful dialogue and partnerships with your community in the future. Alas! President Obama and the White House has been listening after all. The contents of this document declares that the U.S. government and the Obama Administration is committed to promoting and protecting human rights. Everyone is encouraged by the White House to continue to voice their opinions, both to the U.S. and the Vietnamese government. This goes to show that when we work together and show that we are united, great things can happen. To everyone in this struggle for freedom, your efforts have not been in vein. Keep persisting, keep believing, because nothing meaningful ever comes easy.